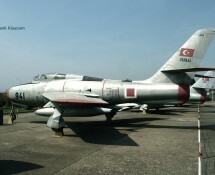 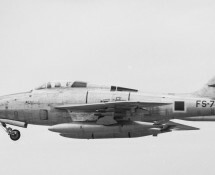 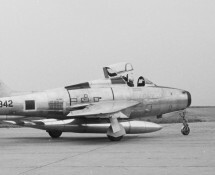 Between 1959 and 1966 the Turkish Air Force received nearly 300 second handed Thunderstreaks from France, Germany and the Netherlands, with which they equipped 9 squadrons.The Streaks were kept in service till 1974; the last units to fly the F-84F were nos 131 and 132 squadron based at Konya. 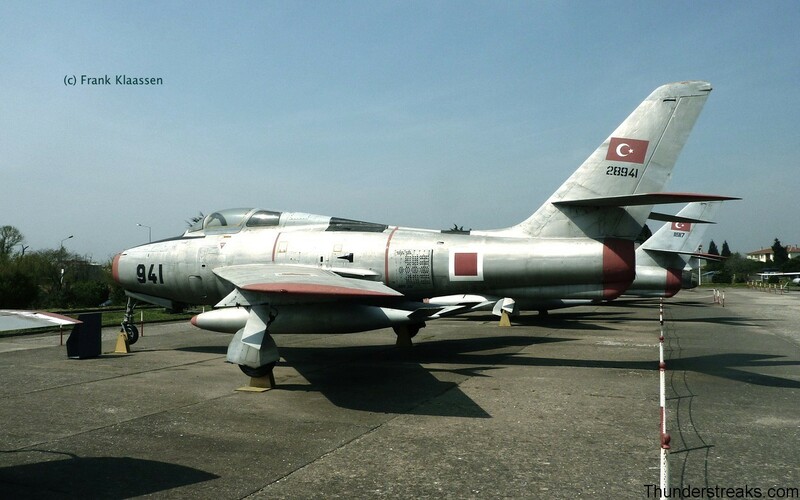 The Turks replaced their Thunderstreaks by Northrop F-5s and subsequently scrapped nearly all of them. 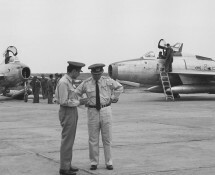 The pictures in this gallery are official NATO photos. 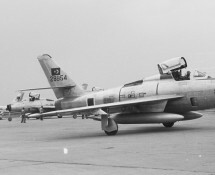 They show a couple of ex-French Thunderstreaks that were handed over to Turkey late 1959 (courtesy F. Loubette).